Everyone at Granada Veterinary Clinic understands that your pet is an important part of your family. We strive to make the end of your pet’s life as comfortable and peaceful as possible. We understand that you can be faced with making the most difficult decision and it is our priority to ensure your pet is taken care of compassionately. Consultation’s can be made by booking an appointment (Book An Appointment) and can last anywhere’s from 45 – 60 minutes. Our goal is to help educate you on your pet’s current issue/issues, make you feel more prepared as well as aware of what your pet is going through. Our top priority is ensuring that your pet has a comfortable and compassionate quality of life which is pain free. 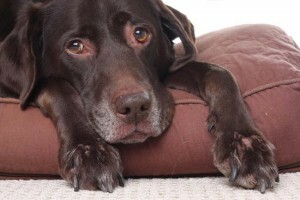 Medications may be dispensed to help ease any pain or discomfort that your pet is experiencing. Please don’t hesitate to contact us if you feel your pet needs a compassionate end of life examination.